It’s often extremely difficult to decide what images to order after a portrait session, so I’ve added collages to my print offerings. Each custom-designed collage features several images combined to capture the essence of the entire session in a single piece of art. 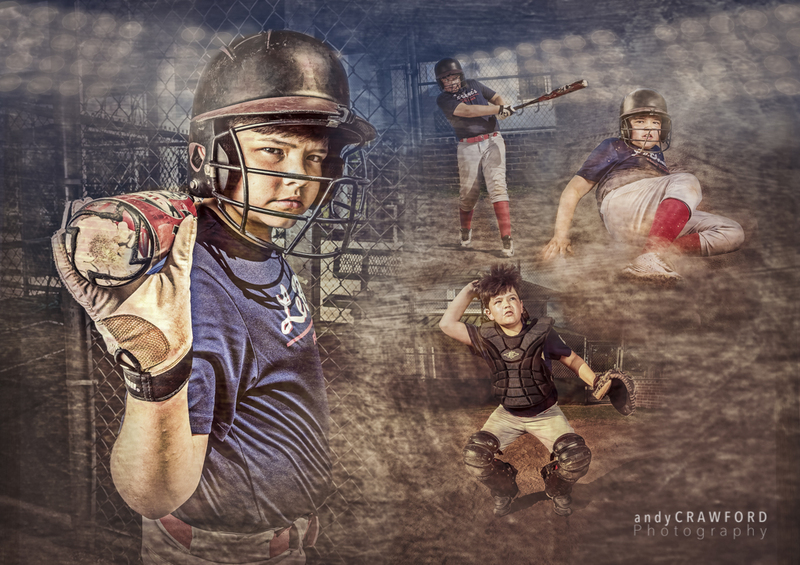 This process works particularly well for sports portraits, but it’s suitable for any portrait session. In-studio photos can even be used. Custom collages are premium products, due to the time and effort required to produce them. They come in two options: Fine-art prints suitable for framing and canvas gallery wraps produced at the nation’s top print houses. Collages offer a wonderful way to memorialize your family memories in a way that goes beyond standard prints. So when you are trying to decide what prints to purchase, don’t forget custom collages. Click here to learn more about my portrait work, and fill out the form below to schedule a consult for your session.